If you who have recently moved to IPN, we welcome you to one of the most amazing communities in New York City. In spite of our struggles, this is a place where people make good friends and become good neighbors. The Independence Plaza Tenant Association (IPNTA) is here if you need help. IPN is a large complex and often one voice is not enough to be heard. We’ve got the experience. Either drop a note in the lobby tenant box, marked "IPNTA," (the preferred way), with your name, phone, and apartment, or e-mail us at info@ipnta.org., or speak to your floor captain. PLEASE NOTE: This is a Tenant Association. If you are interested in renting an apartment, contact the Management Office, 212-962-3530. Thank you. New links to important community sites have been added to our Links page. See "Our Community." To get Previous Stories or read about additional IPNTA activities... See "Newsletters" or "Archive." Council Member Chin is hosting a Tenant Resources Fair on Wednesday, August 29, from 10 am to 1 pm at 227 Madison Street – Gouverneur Health – Auditorium (wheelchair accessible). You’re invited to connect to organizations that can answer your housing questions, provide legal guidance and referrals, organize residents to fight against harassment and much more. Under the latest RGB Order a 1.25% increase is authorized for 1-year lease renewals starting between 10/1/17 to 9/30/18. Under the two previous RGB Orders, no increases for 1-year renewals was authorized. Thus, for LAP Lease renewals starting between 10/1/16 to 9/30/17, pursuant to IPN's LAP agreement only a 1% increase is allowable. But, for next year's renewals, a 2.25%increase is authorized. The IPNTA has asked me to give you our thoughts on the year 2016 LAP lease renewal. Should one take a one-year lease or a two-year lease? 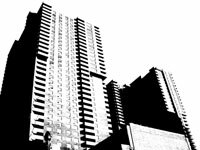 First of all: For leases beginning between October 1, 2015, through September 30, 2016, the rent increase for rent stabilized 1-year lease: 0% and for 2-year lease: 2%. As you know we are not rent-stabilized. The LAP tenant has an agreement with the landlord to take rent stabilization increases as a formula in raising the rent. The contract also states that after thirteen years of the contract there will be rent stabilization increases plus 1%. Therefore, if you take a one-year lease, it is 0% plus 1% (LAP agreement). If you take a two-year lease, it is 2% plus 1% increase (LAP agreement). To give you a little background: Diane Lapson, President of the IPN Tenants Association, along with Board members, Diane Stein and BJ Berti, and myself, have been going every year to fight against rent stabilization increases. We went to a forum about rent stabilization. Therefore, we have a little understanding of how increases in the future will be with rent stabilization. Last year, I recommended tenants take a one-year lease as I believed there would be a zero increase next year from the rent stabilization. There were many factors that I thought explained why it would be a zero increase. Under Mayor Bloomberg, the increases had been higher. Bottom line I was right, there was a rent freeze on one-year leases. The same factors are in play this year. Mayor de Blasio appointed good people to the Rent Guidelines Board. The RGB has a formula they use for recommending rent increases. Cost to operate rentals fell in last 12 months: Low fuel costs and a mild winter meant landlords’ costs actually fell over the last 12 months, for only the second time since 1969, at least according to the city’s Rent Guidelines Board. The seemingly encouraging estimate, announced April 14, 2016, could be a prelude to the Board once again ordering landlords not to increase rent on stabilized tenants. I believe there will be a rent freeze increase or only a 1% increase next year. Therefore, I recommend a one-year lease. For additional information, see “Another Rent Freeze Is Possible in New York City”, Wall Street Journal, April 14, 2016. Previously posted information about J-51 and Rent Regulation is now on the J-51 page and Archive. IPNTA Statement about our J-51 Lawsuit is on the J-51 page. Also see In The Press. Download the flyer, "Rat Prevention for Your Property"
Provided by Guest Speaker Caroline Bragdon, MPH, New York City Department of Health and Mental Hygiene, who spoke at IPN, as part of the Community Board 1 Quality of Life Committee meeting on April 17, 2014. October 3rd 2013 Deadline for the Victims Compensation Fund has passed. However, the World Trade Center Health Program is still available -- this is separate from the VCF. Our thanks to 911 Environmental Action and WTC Health Outreach, who provided very helpful information at our meeting on Sept 19th 2013. Mitchell-Lama Residents Coalition has good articles about affordable housing in general and former Mitchell-Lama complexes, including IPN. "Best Doorman in New York"
Onnie Rose, 310 Greenwich's well-loved doorman, was featured in Daily News Best Doorman in New York article. Congratulations, Onnie! 2008 - Filing Rent Overcharge with DHCR - Group Filing Mar 2008 - Information about the first filing is in our Archive for reference. 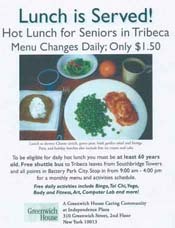 "Living Fully: Resources for Aging Well in the City" from Manhattan Borough President Stringer is posted on the Seniors Page. New Caterer - Great Food! As always, first call maintenance: 800-313-0611. You can also print out the IPN Tenant Complaint Form. Drop the complaint form in the Lobby Box. Booklet in PDF version (363k) or View Online. Tips for building community and suggestions for emergency preparedness.